Broadcast Journalist & Host of What Would You Do? Every day is full of what would you do moments. They can be as simple as considering whether or not to hold the door open for a stranger, or they can be as complicated as deciding your next move when faced with the discrimination or mistreatment of another. We’ve all been there. In Emmy award winning anchor – John Quiñones’ new book, What Would You Do? Words of Wisdom about Doing the Right Thing, John forces all of us to take a good look in the mirror, holding it up not only to ourselves, but to the nation as well. What do we do when we witness injustice, racism, bullying – as an individual…as a nation? Do we step in or, do we step aside? 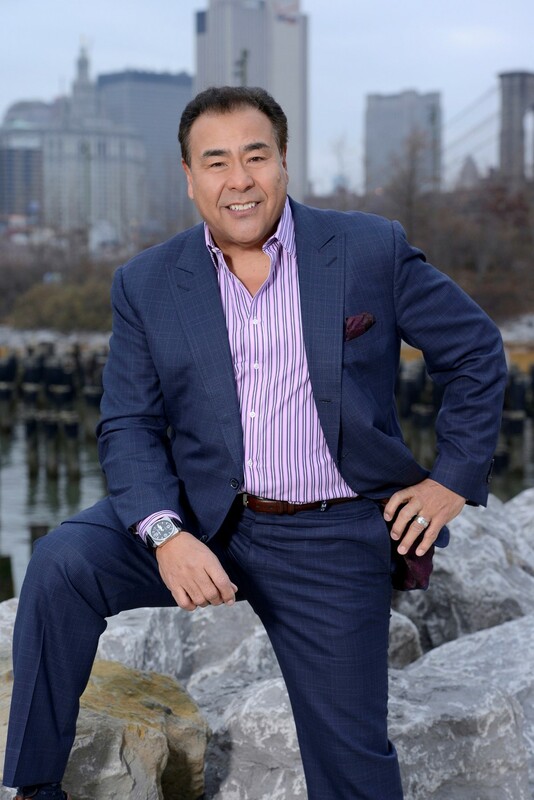 John Quiñones is the Emmy award-winning co-anchor of ABC newsmagazine Primetime and has been with the network nearly 30 years. He is the sole anchor of the Primetime series What Would You Do?, one of the highest rated newsmagazine franchises in recent years. During his tenure, he has reported extensively for ABC News, predominantly serving as a correspondent for Primetime and 20/20. In 2010, Quiñones was the first reporter out of the 2,000 journalists who covered the Chilean Mining Disaster to get an exclusive interview with one of the survivors. His work for What Would You Do? captures the way people react when confronted with dilemmas that compel them to either take action or walk away. To that end, he has also followed would-be Mexican immigrants attempting to cross into the US via the deadly-infamous route known as “The Devil’s Highway,” as well as other investigative endeavors – indicative of the understanding his heritage allows. Previously, Quiñones anchored the critically acclaimed ABC News special Latin Beat, which focused on the wave of Latin talent sweeping the US, the impact of the recent population explosion, and how it will affect the nation as a whole. As an Emmy award-winning and celebrated anchor, Quiñones is about as polished as a speaker could be. With a foundation in real poverty and a real understanding of the challenges of immigration and integration, John is received as an inspiration and an example of what we can all be – regardless of our roots or station. John offers answers, anecdotes, and personal examples of how to even approach the question of what to do, how to formulate a plan of action once you decide what to do, and how to see it through to fruition. Having grown up in a poor family of migrant workers to eventually become ABC’s first Latino correspondent and a seven-time Emmy Award winner, Quiñones shares his powerful story with audiences around the country, encouraging them to pursue their dreams regardless of socioeconomic barriers, emphasizing the role education played in his own success, captivating and inspiring audiences to strive for their goals, and challenging his audience with the all-important question of what would you do to achieve them?